It’s a Friday and we’ve all had a rough week. Why pretend to beat around the edges of a story just to showcase all the cool fight scenes? 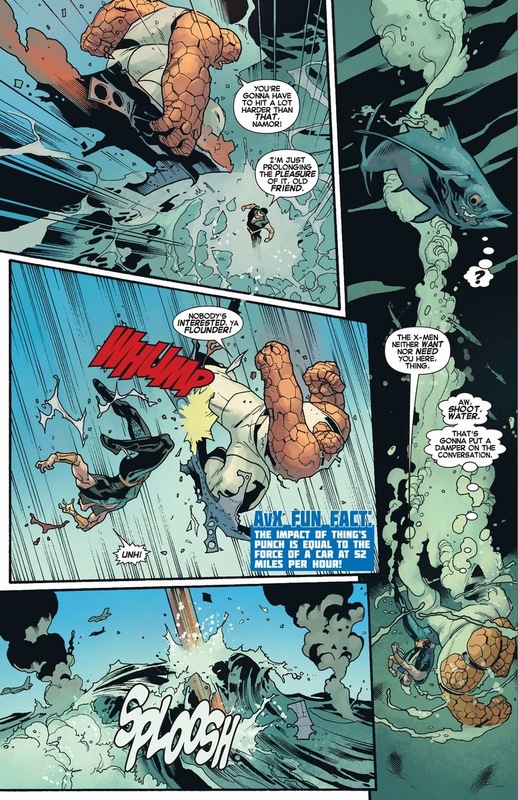 So let’s jump right into the battles with zero context — just good guys kicking good guys in AvX: VS #1, written by Kathryn Immonen and drawn by Stuart Immonen, and AvX: VS #2, written and drawn by Steve McNiven. 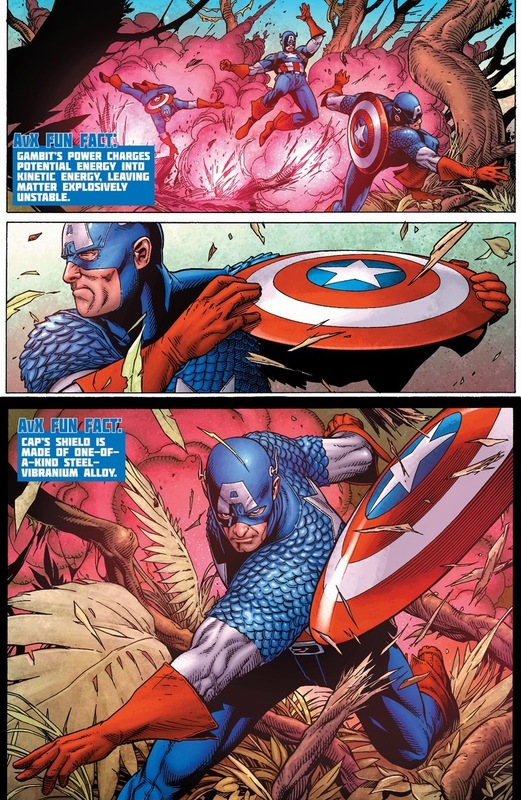 The Avengers and X-Men started a war against each other over the Phoenix force. It happens. 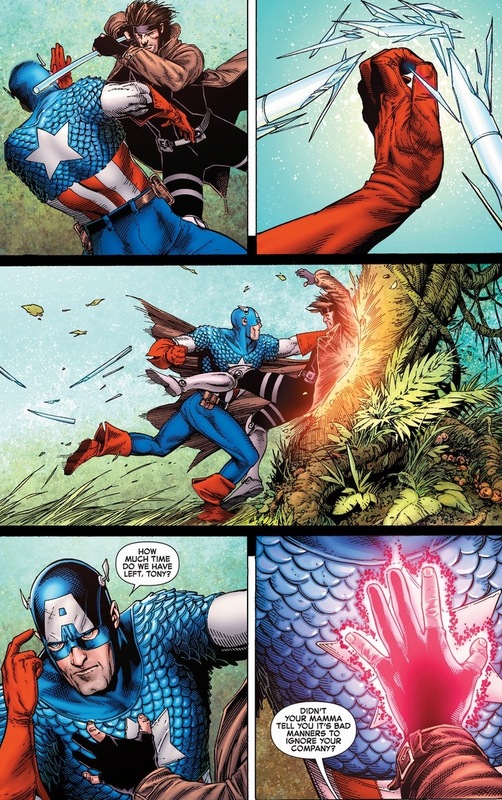 Now the two biggest Marvel teams have reasons to shoot lasers and shout moral rhetoric at each other! 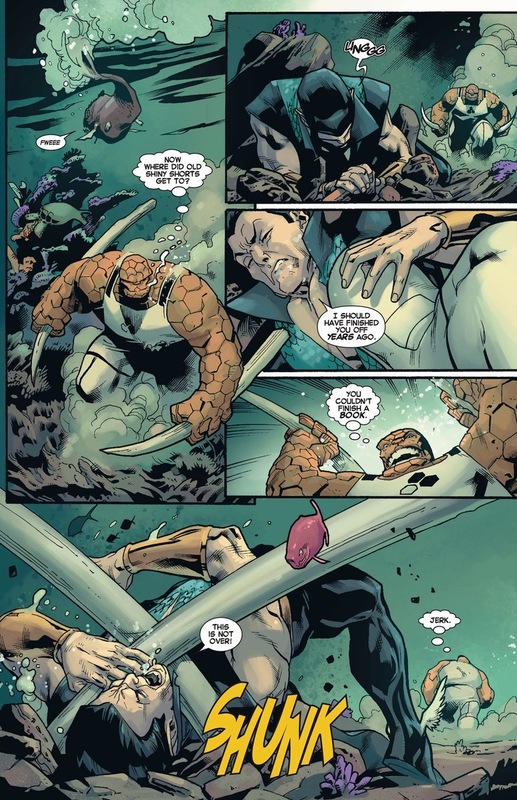 Yes, the Thing can punch equal to the force of a car at 52 miles per hour and take a punch about equal strength, but the poor guy gets the short end of the stick when it comes to Fantastic Four powers. His looks too, but that’s a different matter. Fire, force fields, and elasticity create so many more strategies and cool ideas than giant rock punches. 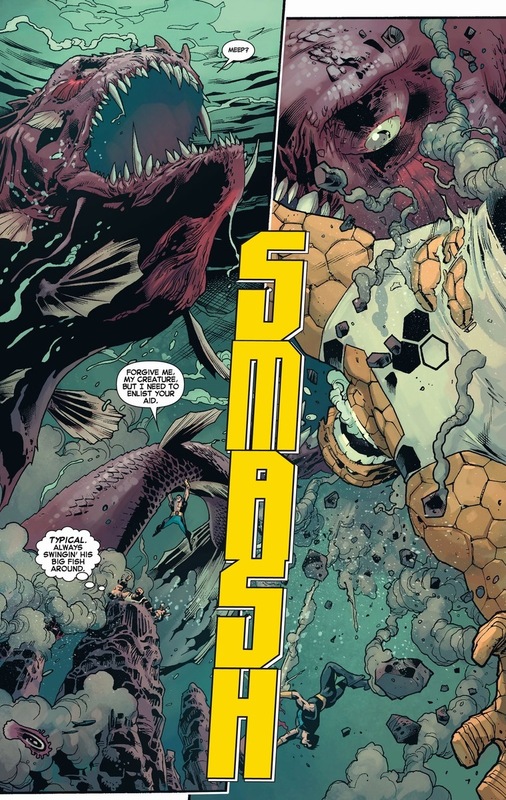 But luckily, Namor doesn’t have powers beyond that either, and with the bad blood between them (Namor’s a jerk), this fight’s a long time coming. That’s two solid jokes in two pages. 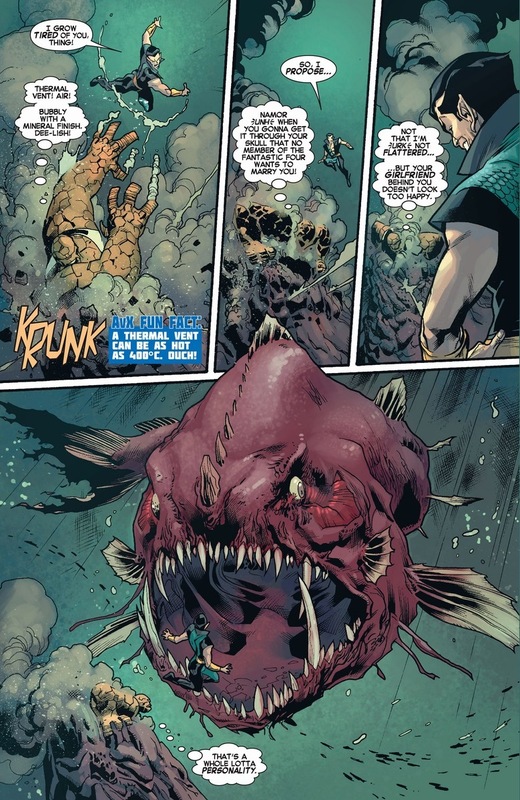 Truthfully, I don’t know if the Thing has the ability to breathe underwater for extended periods of time. He does it here, but to save any potential arguments — he’s also has the ability to talk yet he lacks lips. 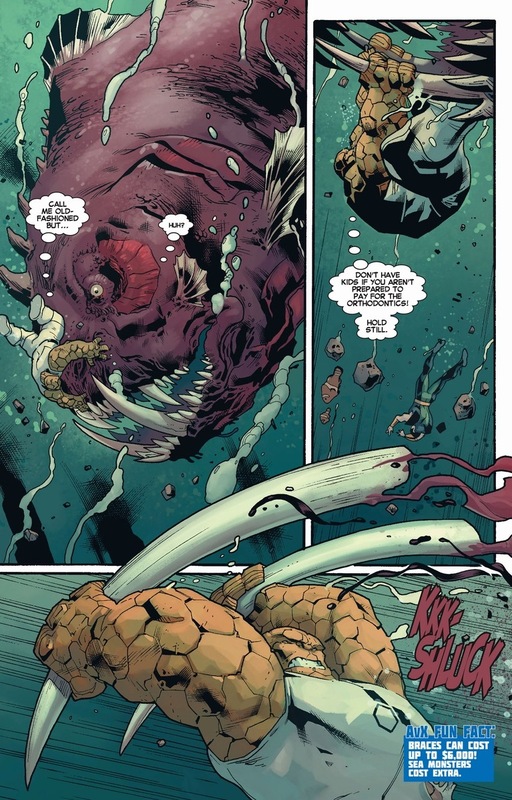 I suspend all disbelief when it comes to Ben Grimm. 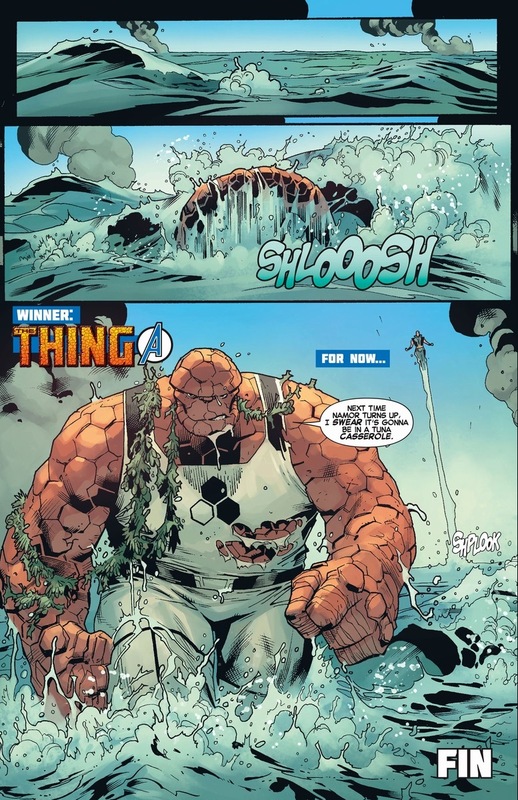 Despite Namor flying off relatively unharmed in the background, the Thing coolly trotting out of the ocean gives him my personal victory. 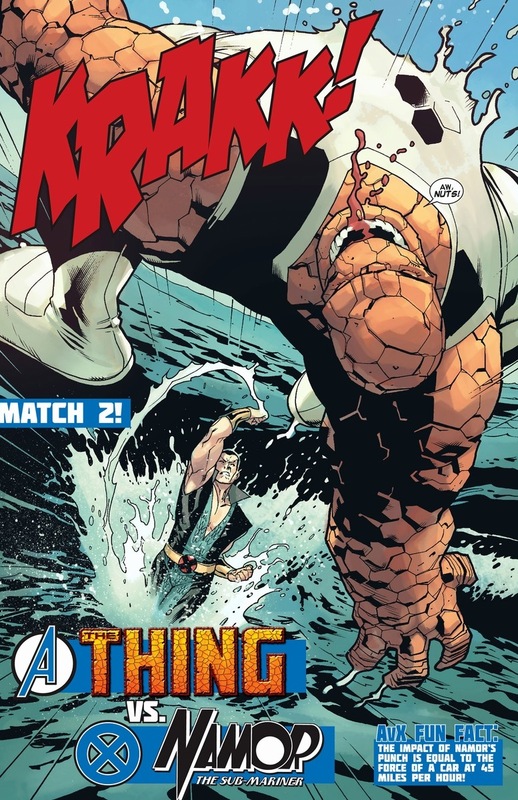 I love Ben holding his own against Namor in water, which would be like fighting Iron Man in a robot factory. Luckily, our next battlefield serves as home field only for dinosaurs and Kravinoffs. I cut out all the neat moves Gambit makes, but to be fair, I’m wildly biased. 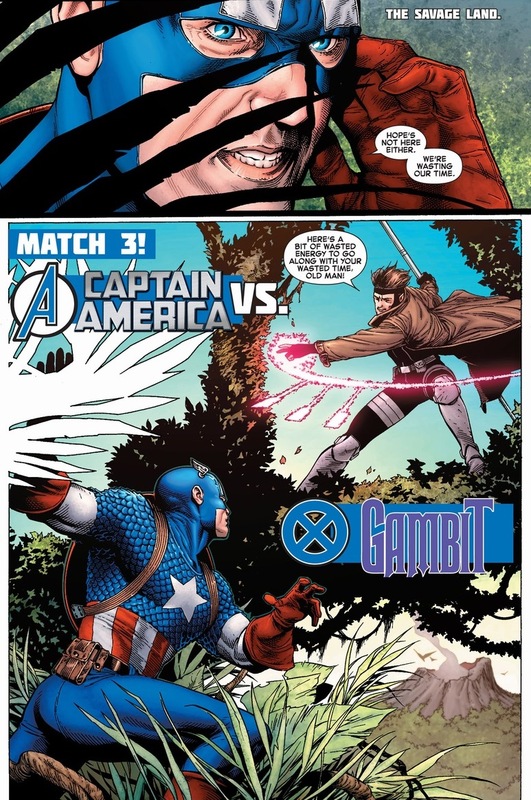 My love for Captain America seeps deep into my own blind patriotism, but honestly, I mainly dislike Gambit wearing a trench coat in a jungle climate. If I’m not mistaken, and this is done with zero research, I believe Gambit used to be way more powerful. I’m not saying he’s not now, but we all know a pink explosion won’t take out the symbol of our country (or America, if you’re reading this somewhere else). 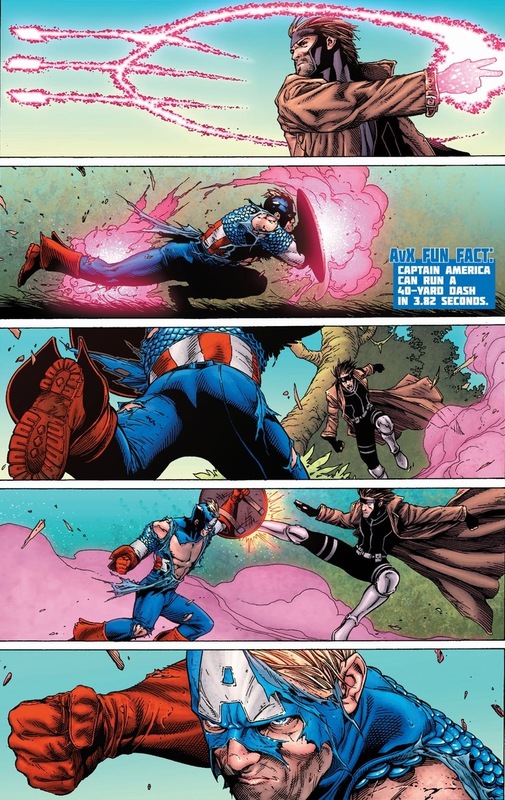 Most importantly, one can’t expect to speak French to Captain America and get away unscathed. In the eleven-ish battles that take place over this miniseries and the dozens more in the main series, both teams come out on top about the same. 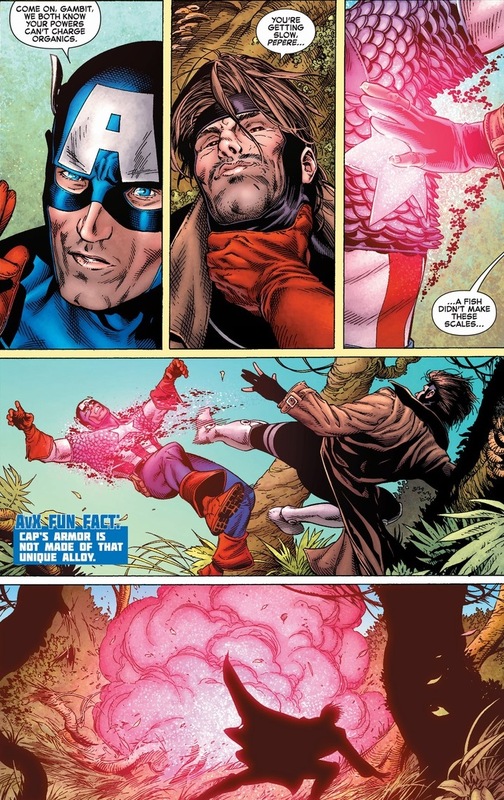 Though for story purposes, the X-Men take the villain role, eventually leading to poor Cyclops versus everybody. Let’s do two more on Monday. No better way to start the week, and maybe I’ll pick some fights where the X-Men win. Maybe. 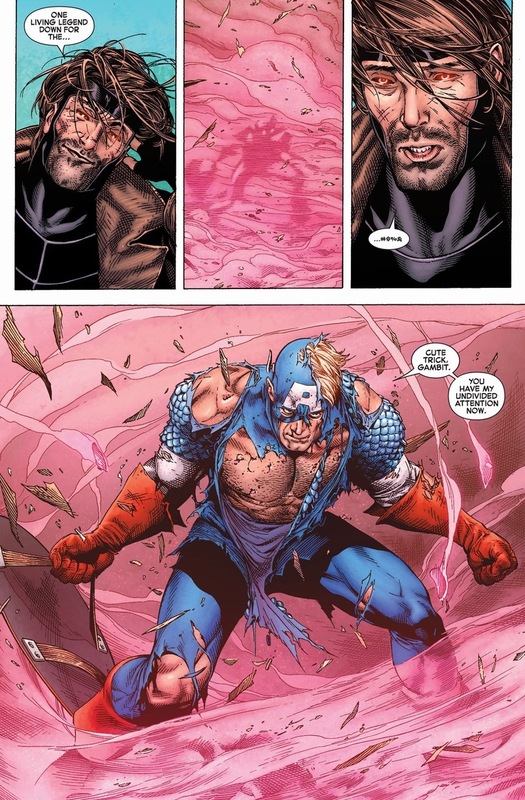 In that final panel, those eyes haven’t belonged on Captain America since he was in the “Cap’s on drugs” story line from years ago. Those are the eyes of a man on Cops. 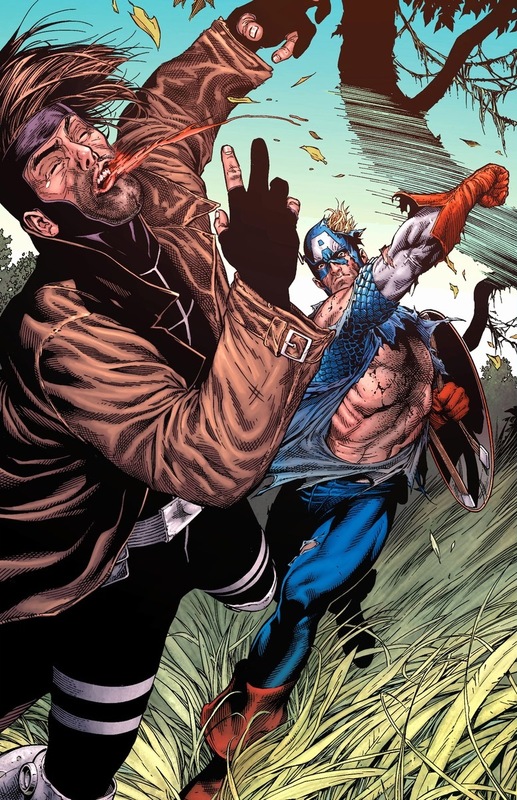 A shirtless man who will stop at nothing no matter who is in his way and how many people are going to see him vent his rage… or, you know… Cap in the AvX story. And I never liked Gambit.